I’m all about change and risk. Starting MV Realty was a risk I was willing to take because I believed in our product and our system. We launched in August 2014. We had structured the company to freely hand out leads to the sales associates, hoping that the follow-up and conversion rate would be high. Unfortunately, the lead follow-up and conversion rate wasn’t where it needed to be, so we had to restructure the company. We now have full-time, salaried real estate sales associates who we trained to perform extensive follow-up and relationship-building for our clients. This has doubled our lead conversion rate. Transacting! We have clients from all over the world who we can have a fully executed document within minutes! Using certain real estate tools has made our company green and efficient. We have 15 sales associates. Two are full-time staff members, and we have an additional nonlicensed, part-time receptionist. In 2008, I decided to join Coldwell Banker in Sherman Oaks, California, as my mother and grandmother had done before me. I found the training to be wonderful and had a great experience with CB. When I moved to South Florida, I decided to jump over to Berkshire Hathaway, formally Prudential, and stayed with them until August 2014. Being of the millennial generation, I found I wasn’t getting enough from these larger companies in terms of efficiency and technology. I felt I was giving too much money to the company with a low commission split, franchise fees and administration fees charged by most brokerages, no leads and not getting enough in return. When you sit “floor time” to get calls and walk-ins, you had about a 10 percent chance of getting a phone call, and you had to work by scheduling other agents’ showings! I was paying for my own marketing, my own electronic services, and was essentially paying for a larger name and stationery. These larger franchises are more about the quantity of sales associates, and not about the quality. So I decided to start my own company. In June 2014, I met with my now-partners, who had launched a proprietary lead-generating site called madvalorem.com, and decided to launch my own brokerage focusing on lead generation and real estate technology, providing a simpler and more efficient way to buy and sell homes. I knew that the way real estate transactions were being handled in South Florida was way behind the times, and sales associates deserved more for their work. So taking matters into my own hands, I decided to change the ancient real estate practices and make it … better. We all have an interesting dynamic. Twelve of 15 of our agents are under the age of 30 and very technology-savvy. We use a lot of FaceTime previews with our out-of-state buyers, which most other brokerages don’t provide. We don’t have any specific area where we work; we work all over South Florida, from Miami to Palm Beach. Our office is in the Historic District in downtown Delray Beach, Florida (The New York Post named it South Florida’s No. 1 “it” town.) We are one block from all of the restaurants and shopping of the desirable Atlantic Avenue, and minutes to the beach. We are in a 2,000-square-foot, charming little yellow bungalow that has been converted for commercial use. At one time this house was bought for under $100,000 and now is worth just around $2 million. Location, location, location! I’m a big believer in the open floor plan. No cubicles, no separated office. I want my agents to feed off of each other’s success and work together bouncing ideas off of each other. For closings, private meetings and office meetings, we have a large conference room. We recruit agents through Internet marketing, CareerBuilder and Monster.com, and we offer recruiting incentives. We spend less time recruiting now, and more time cultivating powerful sales teams with the Realtors we currently have. We are less about quantity and all about quality. If our agents don’t have their sales technique down, then our company doesn’t succeed. Solely on the Internet. Since we are a lead-generating company that owns its own lead-generating site, we are a very heavily buyer-based company. Our focus with the brokerage is South Florida, but with our website, madvalorem.com, we have expanded to the entire state of Florida and a couple of other Northern states. Yes! 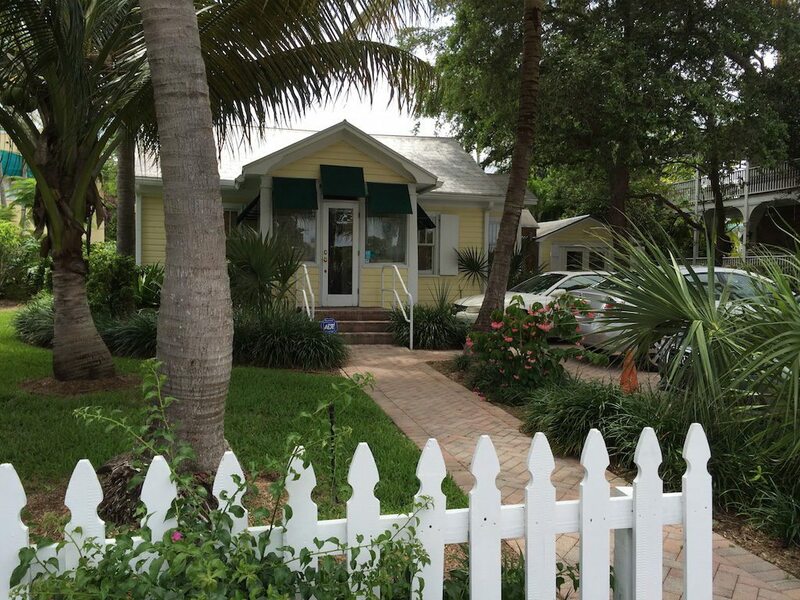 Since we are in a converted historic house, we have great barbeques that we like to coincide with the events that go on in the downtown Atlantic Avenue area, such as “The Delray Affair,” “The Garlic Festival,” “The Bacon Festival,” etc. There are a lot of festivals, so … let’s just say we believe in working hard and playing hard! We have our company’s website, which is mvrealtyfl.com, and our lead-generating website, which is madvalorem.com. We also are present on Facebook, YouTube, Instagram, LinkedIn, Twitter, Pinterest and many others. A lot of sellers are caught up in having a larger name associated with selling their house. What they don’t understand is that through our strong Internet presence and efficient real estate practice, we are able to market homes internationally with new and innovative technology. We are purely technology-based. We FaceTime our out-of-state clients. We use technology for efficient negotiating and marketing. We have no hidden fees for the client or for our agents. We believe the only way for our company to succeed is for our agents to succeed. We provide all of the tools, systems, signs, cards and training to our agents for free … and most importantly, we provide business! At MV Realty, we restructured our company to heighten our conversion rate, which it did. We are planning on growing our company by forming multiple sales teams and training each individual agent. We receive business all over South Florida, so we plan on opening multiple branches over the next couple of years. We are excited to see what the future holds for our quickly expanding company.